But wait, it gets better! There are also 8 segments in the surrounding arch. There are two column windows with 4 and 4 segments totaling 8 and then each door has 8 squares. Coincidence? What do you think? If you count all the main segments in the big window, you find the number 24 which is something waaaay deeper that I won’t get into here. I found it interesting to discover it in this context on a chapel because usually I only see that numerical theme in temples. There’s also a large triangle as well, which is also a “square” with its 90 degree angle going on there. There is significance in the square as well. The ordinances performed in our meetinghouses are primarily Aaronic in nature, such as baptism and the sacrament. These ordinances take place in the modern day “outer court”. In the days of the old temple, there was an inner court where sacred ordinances occurred (today’s equivalent is the temple) and then an outer court where there was an altar of sacrifice and a “brazen sea” for washing. Today’s equivalent could be the sacrament table and the baptismal font. Meetinghouse ordinances and activities are presided over by the Aaronic priesthood, the Bishop being the president of the priest quorum. We see arms raised to the square when performing baptisms possibly as a sign of Aaronic priesthood authority. We use the same sign to sustain people in their callings, etc. The square emphasizes the number 4, which is typically associated with earth and mortality. 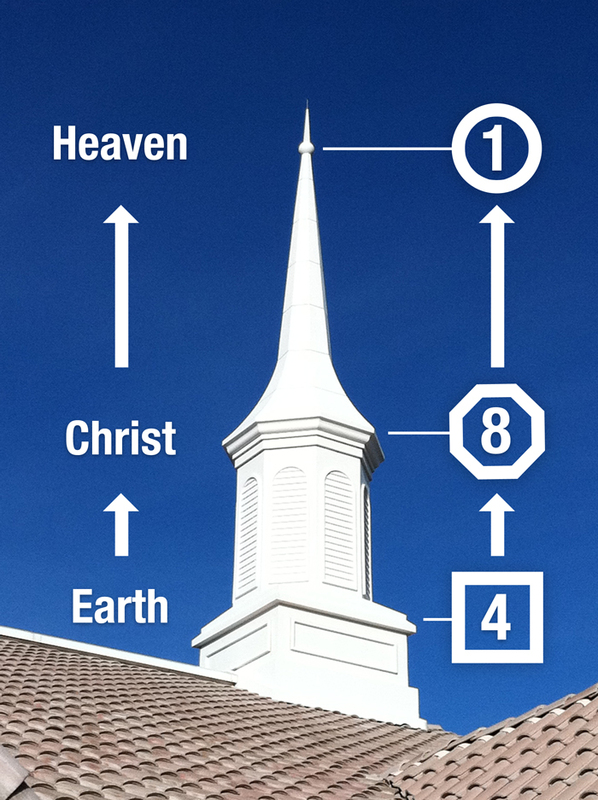 If you look at the steeple you will also see that it features an octagonal shape between the square base (4) and circle (1) up top, potentially communicating the idea of Christ as mediator between heaven and earth, just like we see on the Nevada meetinghouse and many temples. 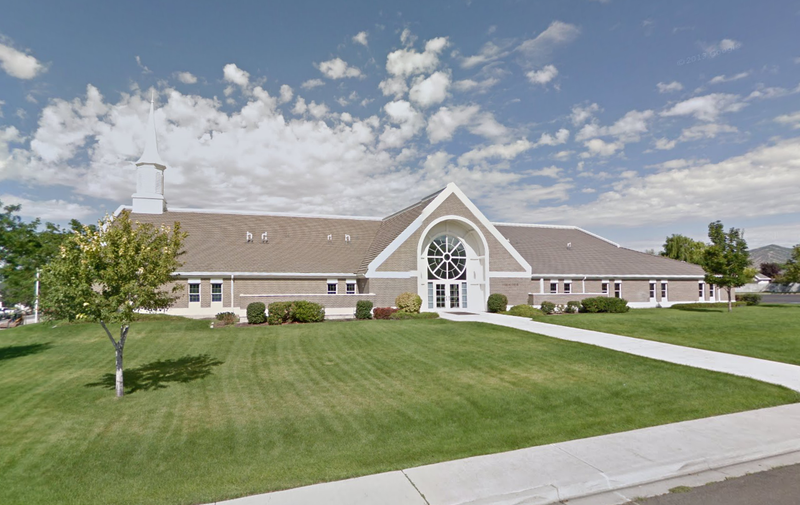 At first it is easy to pass it off as coincidental, but I see the number 8 consistently emphasized in LDS chapels to the degree that to suggest coincidence seems almost ridiculous. So what is it then? Some group of symbolic geniuses working in the church’s chapel design department? Pure, unintentional inspiration? I’d really like to speak to one of those architects, so if any of you are reading – contact me! 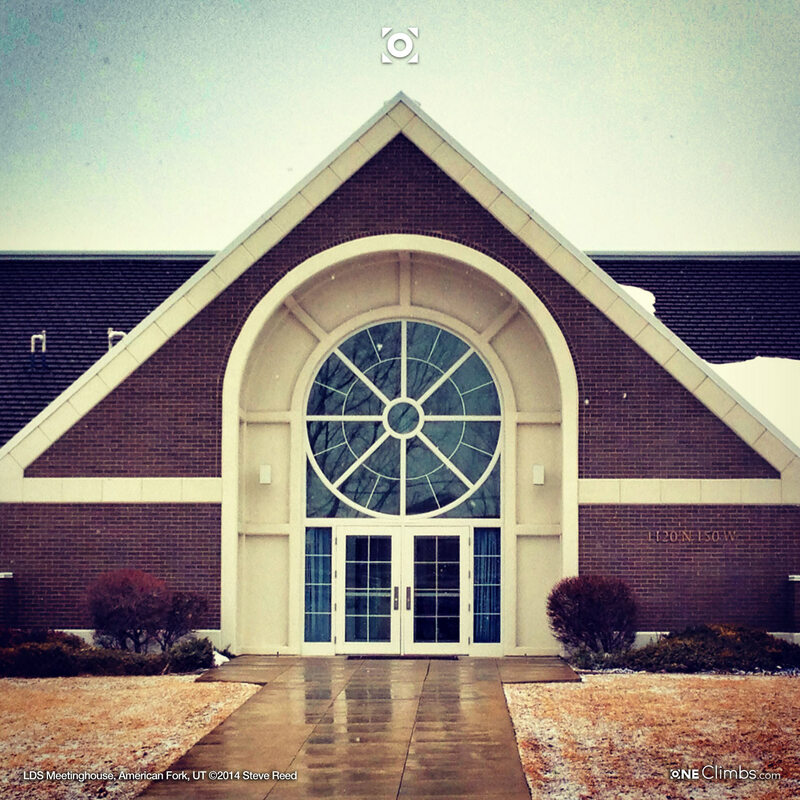 You can view the chapel on Google Maps in street view here. One of the many future temples of the Church of Jesus Christ of Latter-day Saints. We’ll need every one of them! The number eight to me represents newness or renewal. At eight we are baptized and made clean and new in the sight of God as we take on our first covenants. In these chapels we renew this covenant every Sunday as we partake of the sacrament and become new again. Also, what do the gods do on the eight day…..they begin again ‘new’ to create again. I love the number eight and its constant reminder of renewal.